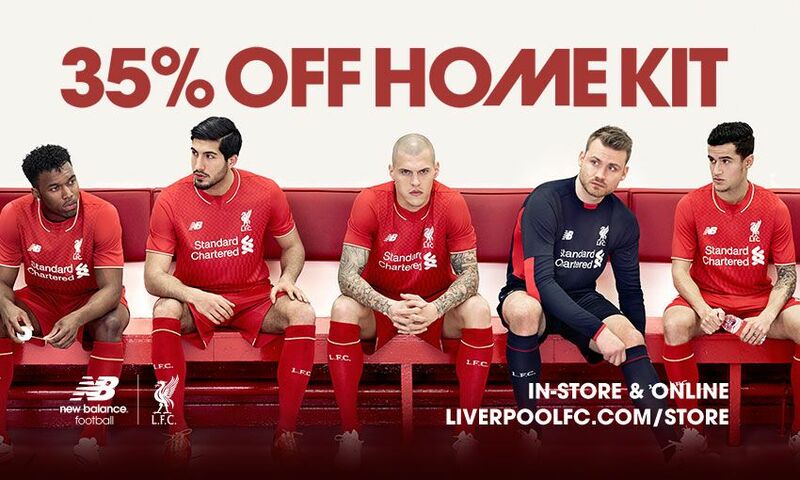 Get 35 per cent off Liverpool FC's 2015-16 New Balance home kit and guaranteed delivery before Christmas with the LFC Retail winter sale. The sale is now underway in our retail stores and online - don't miss the chance to grab a bargain before the big day. As well as 35 per cent off this season's home kit, we're also offering up to 80 per cent off selected lines, with items such as the Istanbul anniversary boxed shirt part of the sale. And with delivery guaranteed across the world before Christmas, you can secure the perfect gift for the Red in your life. Click here to browse sale items and see delivery cut-offs below.